Results for respondents with demographics. Weighted by Gender, State. Sample: General U.S. Population filtered to 55+ age group. 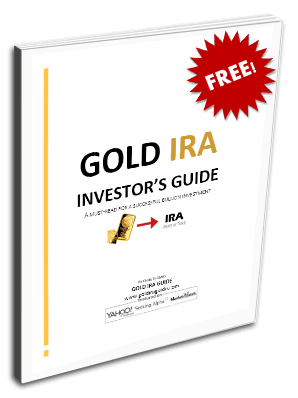 Conducted by Google Consumer Surveys for Gold IRA Guide. Fortunately, this discrepancy implies that retirees and people who have been retired longer are typically more knowledgeable about their investment options than those who are approaching retirement age or just recently retired. That's a good indication that many retirees are at least educating themselves about IRAs and precious metals as the years pass. That means more than 70% of women aged 55+ have no clue that it's possible to own gold in their IRA. Although more than half of the male respondents (57%) also answered “no,” there's clearly a trend of men taking greater interest in their retirement investment options. It's no secret that there are obvious differences between male and female investment behavior, and these psychological traits often translate into different decision-making preferences. Although the survey had more male respondents (1628) than female respondents (1372), that tends to reflect the fact that there are more male investors, as is evident when looking at any list like the Forbes 500. Many studies and articles have claimed that women are “better” investors than men, so why were so many of the female respondents clueless about owning gold in an IRA? A potential answer could be: women are typically more cautious investors, sticking mostly to the traditional options offered by financial institutions. For this reason, most women tend to overlook unconventional methods even if they're highly applicable in the current economic climate. Paradoxically, while aversion to risk often helps women avoid large losses, it also makes them less likely to discover potentially beneficial investment options like holding physical gold bullion in an IRA, which would actually reduce risk in the event of a systemic collapse. Retirees in Western States Ahead of the Game? When comparing the results on a regional basis, it becomes clear that respondents in Western states are most aware of the option to own physical gold in their IRA, with more than 43% of respondents from that region answering “yes.” In contrast, respondents from the Northeast and Midwest only answered “yes” about 31% of the time, while respondents from Southern states were only marginally more informed at about 36%. While there's no definitive conclusion as to why the West and the South are slightly more aware in this regard, there does appear to be a correlation between the popularity of survival/prepping and knowledge of precious metals investments for retirement. Stereotypically, most of us associate prepping and wilderness survival with places like California, Oregon, Georgia, South Carolina, Alabama, Iowa and other states that have the climates and political backgrounds to support the survivalist hobby. Traditional conservatives in the Southern states and eco-friendly prepper/hippie types in the Western states are apparently more likely to carry lower dollar confidence, and are therefore more likely to look into precious metals when choosing investments for their IRA. Adversely, someone who lives in a cold climate and bustling metropolitan area like the greater Chicago area (Midwest) or New England (Northeast) is less likely to be involved with wilderness survival and prepping, and would therefore be inclined stick with orthodox investment methods recommended by advisers. Ultimately, distrust in the dollar and the desire to research additional investment types seems to be a more common trend in the Southern and Western states because of the aforementioned geographical and political factors. Another interesting stat to note is that only 31% of rural respondents answered “yes.” Suburban respondents appear to be only slightly more informed at 34%, but urban retirees take the cake with a full 40% having knowledge of the ability to own physical gold bullion through an IRA. This is not surprising considering cities are home to financial centers and urban investors tend to be more savvy than their rural counterparts. After all, Wall Street isn't positioned on an old country road, it's in the middle of New York City. Being that rural respondents are a full 10% behind the urban poll participants, it's apparent that this is a statistically significant finding which indicates that urban investors and retirees are more in tune with modern investment practices. Not surprisingly, other than the $150k+ earners (there were only 26 respondents in that income group – not statistically significant), respondents in the poverty level were the most unaware group with 71% answering “no,” which is probably because most people in poverty aren't yet considering retirement options due to their current financial status. As you can see, the middle and upper middle class are most aware of the option to own physical gold through an IRA, with more than 42% of respondents in the $75k-$100k range and about 41% of respondents in the $100k-$150k answering “yes.” This indicates that middle class earners are the most motivated to look into additional retirement investment options in an effort to safeguard their hard-earned savings. On the other hand, individuals at the poverty level aren't likely to concern themselves with retirement options because most jobs in that income bracket don't provide much in the way of retirement plans. Wyoming stands out from the crowd with the highest Gold IRA awareness at 53.5%, but with only 22 responses from that state, it's difficult to say definitively whether that's a statistically significant finding. Ironically, despite being historically blue, California is the only state that had more than 100 respondents and answered “yes” more than 40% of the time. Contrarily, the blue states of Illinois and New York both had about 150 respondents, but neither answered “yes” more than 30% of the time. Why Are So Many People Unaware of This Option? As you can see, regardless of age and demographics every group seems to be mostly unaware that it's possible to store physical gold bars and coins through an IRA. It seems the lack of awareness stems from the fact that this option is under-recommended by advisers and pundits for a number of reasons. First, advisers and fund managers tend to benefit more when your retirement funds are being used in other ways. Storing physical gold in an IRA isn't done to promote huge returns. It's a way to safeguard a portion of your retirement funds with a commodity that's known to hold value even in times of economic crisis. Second, people aren't taking their retirement investments into their own hands, and because of that they're missing out on crucial opportunities to protect their savings from the effects of inflation and dollar devaluation. So what's the best course of action? As usual, the majority isn't always right. Just because most people don't know you can own physical gold through an IRA, that doesn't mean it's not a good idea. In fact, a bit of research will confirm that many experts are recommending retirees hold about 10% to 20% of their liquid assets in the form of precious metals. Ultimately, using a portion of your IRA to own gold coins and bars is indisputably an excellent way to preserve retirement wealth and protect against financial crisis. Chris Thomas is a Senior Editor at Gold IRA Guide. He is an experienced financial and investment author with a strong passion for commodity investing and global economics. Before joining the Gold IRA Guide team, Chris has been writing for various authority financial portals and magazines for over two decades.